MANY newcomers to amateur radio may not be familiar with the wandering, raw ac signals that once rendered large segments of the high frequency untenable. Medical treatment diathermy equipment manufactured in the late thirties and early forties consisted of a high power oscillator fed from a raw ac 01% at best, a rectified and unfiltered dc plate supply. 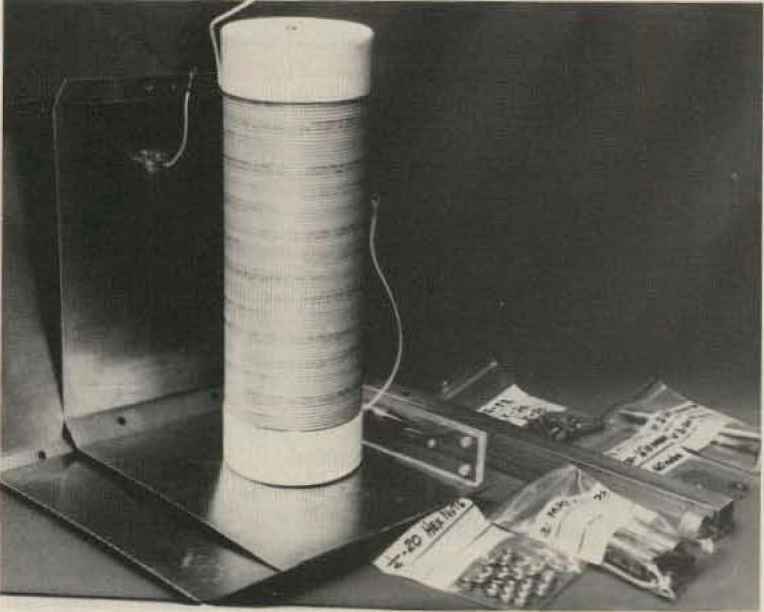 No means of frequency stabilization was employed and adherence to allocated frequencies was a hit or miss proposition. The powers used and the application of this equipment are such that complete and effective shielding of the equipment and the treatment room would be required to reduce interference to a. tolerable level. ing little if any resale value, rapidly became a drug on the market. Much of this gear was given away or junked. However, even at this late date, there is a substantial quantity gathering dust in doctor's basements and clinic storage areas. The amateur who will search out this equipment can acquire a good selection of heavy duty power supply components at little or no cost. Also, the configuration of many diathermy "machines" is ideally suited to amateur construction. 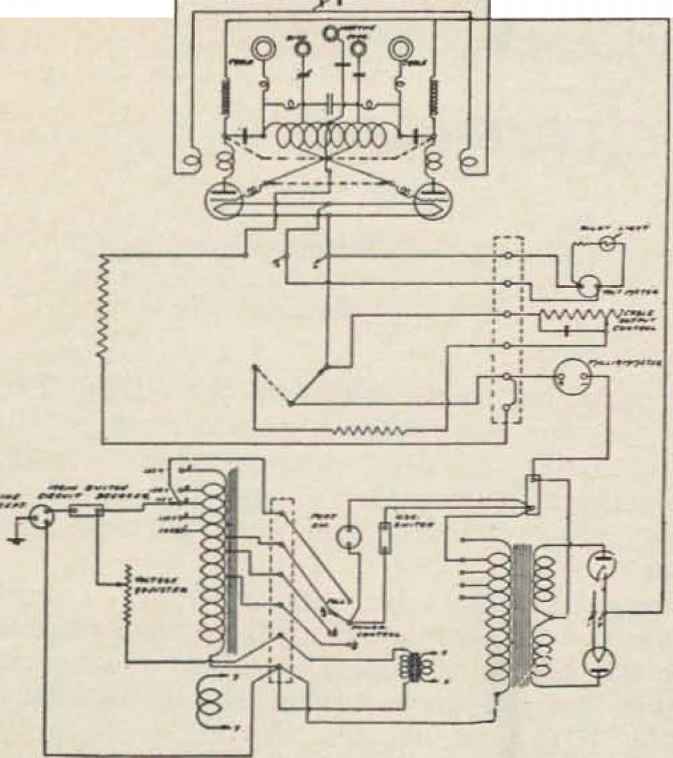 The schematic diagram of a Burdick Corporation device, a fairly typical unit, is shown in Figure 1. Plug-in assemblies are used to provide output on 3.75, 12 and 50 megacycles to meet various treatment and surgical requirements. The rf components used in most equipments will have little attraction for the amateur; primary interest lies in the power supply and possibly the enclosure. Fig. J Schematic diagram of a typical diathermy unit. 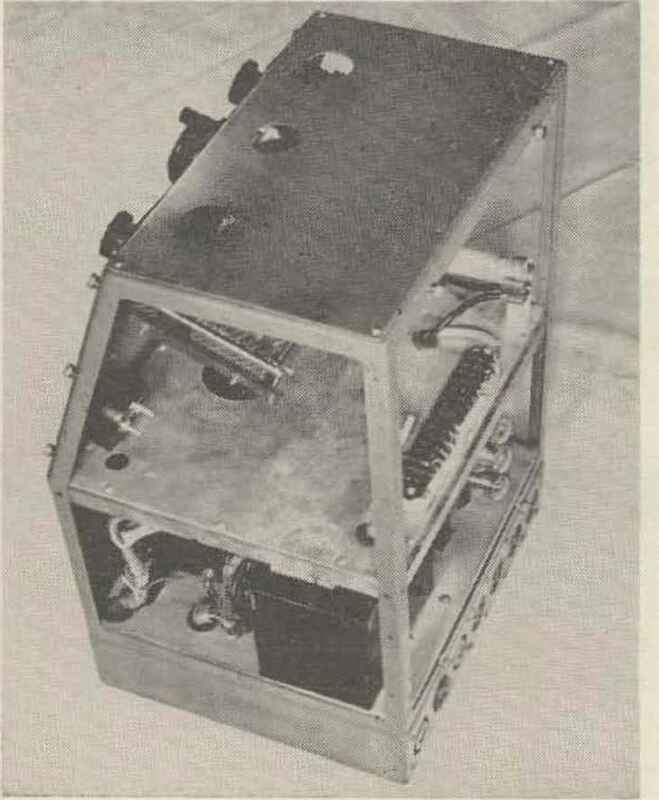 This equipment was manufactured by Surdick Corporation and provided output on 3,75, 13 and 50 MC. quite elaborate and easily adapted to amateur equipment requirements. Tapped power transformers with selector switches or Va iaes were almost always used to compensate for a wide range of primary voltage and to permit adjustment of output power. Inspection of Figure 1 will disclose that the addition of a filter choke and capacitor would result in an excellent high power plate supply. 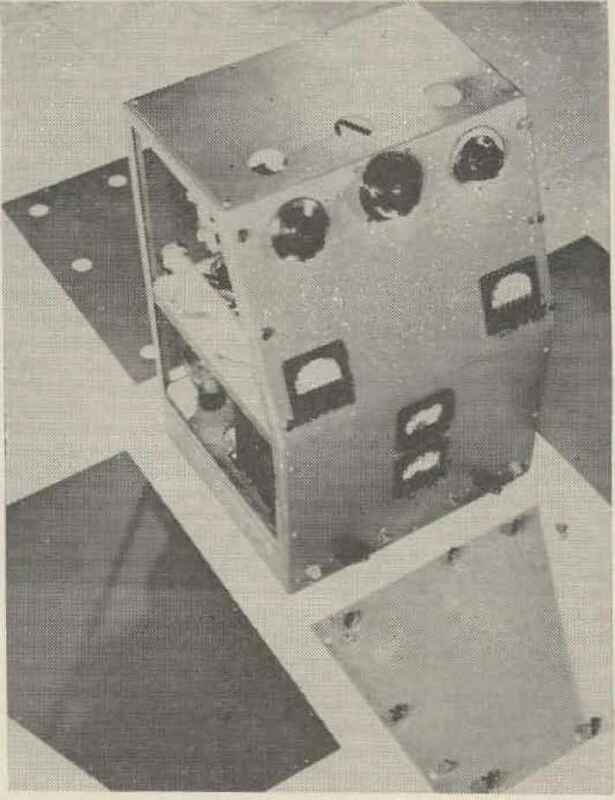 The photographs show a diathermy unit of unknown make and model adapted to amateur use. The power supply components of this particular unit are good for 2,500 volts at 500 ma which is a full kilowatt in anyone's book. The captions tell the story and it is convincing. So get on your horse and start looking before it is too late. One word of warning: Wear old clothes and take help with you. Basements are dusty and these beasts are heavy!